Read Comfort Windows reviews from installers and homeowners who can shed light on the quality and customer service. I am busy getting some quotes on replacement windows, but seem to be struggling to find information one particular window company, Comfort Windows. They don’t seem to have much information displayed online and I was hoping someone on this site could shed more light so I can make an informed decision. The reason you can’t find much information online regarding Comfort Windows is that they are a newer window which are made by MI Industries. From what I understand they are a better window than what has previously been offered by MI Windows. If you’re looking to replace your existing windows you should be looking at the many other window companies offering quality windows in your area. You can often find a better quality window in the same price range if you look at Simonton, Milgard or Amerimax. While I don’t put a ton of stock in window ratings from Consumer Reports, it’s a decent barometer of what you should be paying for the window itself. 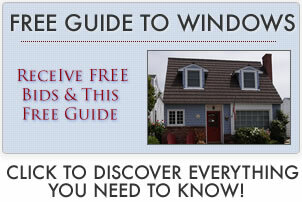 Read all of our Simonton window reviews.